ΣΚΑΝΔΑΛΟ: Ο πρόεδρος της ''Ελληνικής Ολυμπιακής Επιτροπής'', Σπύρος Καπράλος, κατηγορείται γιά ανάμιξη σε πώληση εισιτηρίων Ολυμπιακών αγώνων στην ''μαύρη αγορά''!... H ΔΟΕ ερευνά την υπόθεση. Greece’s top Olympic official is under investigation by the International Olympic committee’s ethics commission. Spyros Capralos, president of the Hellenic Olympic Committee, is embroiled in the London 2012 ticketing scandal. He allegedly sold tickets to the London Games on the black market. Πρόεδρος της ''Ελληνικής Ολυμπιακής Επιτροπής'', ο πολυθεσίτης Σπύρος Καπράλος, κατηγορείται γιά ανάμιξη σε πώληση εισιτηρίων Ολυμπιακών αγώνων στην ...''μαύρη αγορά'' στο Λονδίνο! H ΔΟΕ ερευνά την υπόθεση. According to a series of reports in the Sunday Times, Capralos revealed his dodgy dealings with Marcus Evans, a British ticket firm, in a taped meeting with the British newspaper’s undercover reporters. The newspaper’s investigation claims some seats for the biggest events were sold for up to 10 times their face value. The Hellenic Olympic Committee, however, denied the allegations in a statement published on its website. It said the ticket sales for the London Games were assigned to Marcus Evans following an international bid following a “totally transparent” and legal process. “Therefore, there can be no issue on creating a ‘black market’ by the Hellenic Olympic Committee which did not buy any tickets, whatsoever”. The committee also said that Marcus Evans won the bid for 300,000 euro – an amount 10 times higher compared with the corresponding amount of the bid held for the 2008 Olympic Games in Beijing – and that every cent of this money was “exclusively allocated” to the preparation of Olympic athletes… due to the economic conditions, the state stopped funding the Olympic preparation”. The ''Sunday Times'', however, posted on its website videos of its undercover reporters negotiating with Capralos who reportedly offered to illegally sell them premium tickets at a marked-up price. The Hellenic Olympic Committee also denied the allegations that Capralos asked Sebastian Coe, president of the London 2012 Organizing Committee, for extra tickets. The Greek committee said Coe’s "direct and flat contradiction" of these allegations provided a clear answer. The Greeks are not the only ones being investigated by the International Olympic Committee (IOC). According to The Telegraph, the allegations stretch to 54 countries, more than a quarter of those that will compete in the London Games, and represent the gravest blow to the IOC’s reputation since the Salt Lake City bidding scandal. In May, Volodymyr Gerashchenko, the general secretary of the Ukraine National Olympic Committee resigned after he was filmed offering London 2012 tickets for sale on the black market. He was filmed by BBC offering to sell 100 tickets worth several thousand pounds to an undercover reporter posing as a ticket agent. 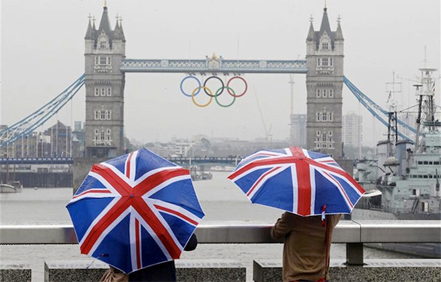 Under IOC rules 12% of the tickets for London 2012, around 1.2 million, are distributed to competing nations for sale to people in their territories. It is against the rules to sell tickets to people outside their country but there are numerous allegations of national Olympic committees and ticket agencies apparently willing to do so. Some of them were offering tickets at 10 times face value, including for the 100m final, the most prized ticket of the Games, reported The Telegraph. According to Forbes, ticketing problems have plagued London’s organizers for months, with many complaining about the official website’s intractable computer problems and inability to cope with huge demand.